Shift from ordinary thinking to extraordinary living! Your potential is limitless and the life you desire awaits. Health, happiness, success, impact—you name it. Anything is possible for you. You just have to believe it. If you can imagine it, then you can create it. You’re that powerful! That’s why I created this brand new digital album, Extraordinary: Meditations for a Magnificent Life. Using a combination of guided meditations, contemplations with mini-spiritual talks, breathing exercises, mindfulness training and affirmation work, this album was designed to help you shift from ordinary thinking to extraordinary living. To put you in the mindset of greatness, so you can create a life that nourishes you at the deepest level. Think of each track like a powerful seed that you’re planting in the abundant soil of your subconscious. Journaling helps water those seeds—so along with the album, you’ll also get my Extraordinary Living Journal to help guide you deeper. These prompts will expand on and reinforce the positive and self-loving mindset the meditations are intended to create. My hope is that this album will help you step into your power and fall madly in love with you. And that this becomes a catalyst for making your dreams a reality. You are a treasure with so many gifts to share, and I want you to know this in your bones and feel that way, everyday. GET THE MEDITATION ALBUM + JOURNAL NOW! Want to give the album to someone extraordinary? Click here to purchase the album as a gift! 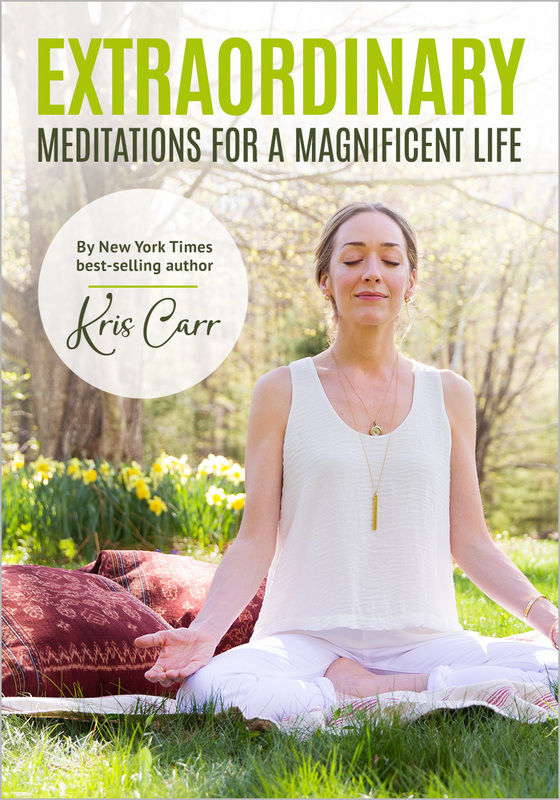 These meditations are designed to put you in the mindset of greatness so you can create a life that nourishes you at the deepest level. Barriers to awesomeness, be gone! As a digital album, you’ll be able to download it to your phone, tablet or laptop so that you’ll have instant access whenever you’re ready to get in the mindset of greatness. Just pop in your headphones and tune in! Plus you’ll get the Extraordinary Living Journal! Each meditation has a corresponding prompt inside this exclusive journal which will help to reinforce the positive, self-loving mindset the meditations are intended to create. Whenever you’d like to take a particular meditation deeper, just head to your Extraordinary Living Journal and reflect on the exercises inside. Plus, you can gift it to an extraordinary person. Click here to purchase the album as a gift. Press play below to listen to an exclusive track from the album—this meditation will help you access your intuition any time you need it. You only need to learn how to go inside, ask the right questions and listen.